Hometown is a word saturated with emotion. It conjures up nostalgic feelings that are likely embellished by memory. We tend to idolize the past. When it comes to our childhood, hindsight is seldom twenty-twenty. As time passes ordinary stories get stretched and distorted. A saga about a tribal battle over stashed acorns takes on apocalyptic overtones; the damming up of a ditch becomes mythic. 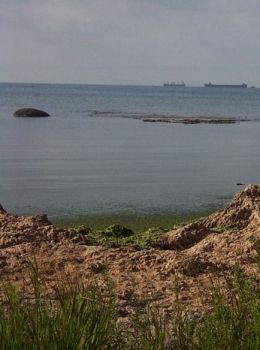 I told you about Reebs Bay, a little hamlet nestled on a thumbprint size spit of land on Lake Erie, three miles west of Port Colborne, Ontario. And yes, that’d be in Canada, land of the silver birch, home of the beaver. During school days, most lessons were learned well, but I chose to go on stratospheric expeditions during mathematics, which has meant a lifetime of being numerically challenged. For those who preferred to spend the bulk of geography class on mental vacation, think Niagara Falls. Reebs Bay is a hop, skip and jump from the honeymoon capital of the world. All things taken into account, Reebs Bay was fine. Everybody has to grow up somewhere and as far as I can tell Reebs Bay was as good a place as any other I’ve ever heard about. In some cases it was far better. It certainly was not a one-dimensional neighborhood. In the time-frame of the sixties Reebs Bay was the stuff of legend; Huck Finn or Tom Sawyer never had it so good. Due to the hole in the ground legacy of Canada Cement, there were two abandoned stone quarries to explore, which for an aspiring rock-hound was perfect. I would spend hours digging or chipping fossils out of the shale, while Queenie, my faithful Blue-tick Coonhound, kept me company. She’d stick by my side until boredom set in, then she’d scurry off to kick up a rabbit to chase for amusement. When I close my eyes tight, I can still hear the sweet sound of her baying at full throttle. I ran with a semi-tough bunch of friends that raced through the territory of mischief. We looked for shenanigans everywhere. There were monstrous green mail-boxes to be moved for no other reason than to disturb sensibilities and create postal angst; there were windows to be soaped and the odd outhouse that needed tipped over; there were traps and tricks to pull on each other when “Betcha any money” was the ultimate gauntlet to be thrown down. We engaged in epic street-hockey tournaments that often ended in fisticuffs, though in a day or two, all would be forgiven and forgotten. Adventures were always just waiting for our imaginations to slip into gear. There were wide-open fields of daffodils, a slice of bush that is mighty thin nowadays, but back then it was a jungle. And behind Maplewood Drive there was a muddy bog called Wilverwild that was our hockey rink in the wintertime and a world-class frogging paradise come springtime. A day-long hike to Sugarloaf Hill was a pilgrimage that was required at least once a year. Reebs Bay is still special. There is even some genuine mystery lurking in the annals of local memory. Across from Scout Point, a graveyard encroached on what once upon a time had been a Boy Scout camp; the marble orchard gobbled up the land because apparently people are dying to get planted. Oakwood Cemetery has an ugly gray-stone mausoleum containing the moldering bones of the all but forgotten Samuel Hopkins. 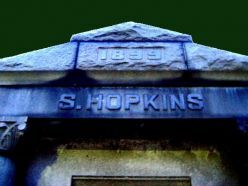 Fairly reliable rumor has it that Hopkins Tomb is haunted and cursed; not sure if anyone really believes those tall-tales anymore, but we used to put great stock in the stories. My hometown taught me that humor and character are foundational. I grew up in the company of comedians and storytellers. When we needed to get out from under a disaster of our own making, one of us could be counted on to rise to the occasion. A wisecrack or believable doctoring of the truth allowed us to shed suspicion and live to wreak our particular brand of havoc on another day. Years later, at the funeral of a boyhood running buddy who was killed far too young, those of us left behind remembered that our youth had indeed been golden.